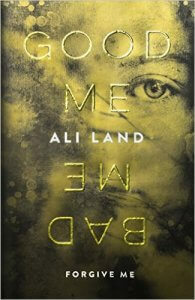 I attended the book launch of Ali’s Land debut Good Me Bad Me on Thursday evening. The weather was grim, but in the basement of Waterstones Tottenham Court Road all was cosy and jovial. Ali was on the same Faber Academy course as me in 2014 and was clearly a talented writer. During the course, we all had to expose our work to the other students and put ourselves under the spotlight for full and frank feedback. At the time, Ali still wasn’t sure of the full story arc of her novel, but the characters and writing certainly caught the attention. Knowing that I will need to launch my debut in May, I was trying to soak in all the details of the event as well as simply enjoying the celebration. We got a signed copy and my wife finished it in two days. Compelling. I wish Ali every success – I am sure it will be an international bestseller. 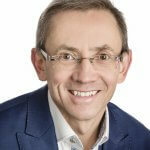 Part-time author, part-time economist. Full-time Dad and husband. Sport when I can find the time. Blue Gold and Rose Gold, part of the Gaia series, released by Urbane Publications. White Gold coming soon. Catch me on Radio Berkshire, first Tuesday of every month at 2pm with Bill Buckley.